In Deposition of respiratory virus pathogens on frequently touched surfaces at airports, published in BMC Infectious Diseases, a University of Nottingham team reveal that the airport security trays they swabbed in the Helsinki airport contained more infectious agents than the airport's toilets. In particular, the trays at the X-ray machines harbored infectious viruses, mostly rhinovirus and influenza (these were not present in the toilets). 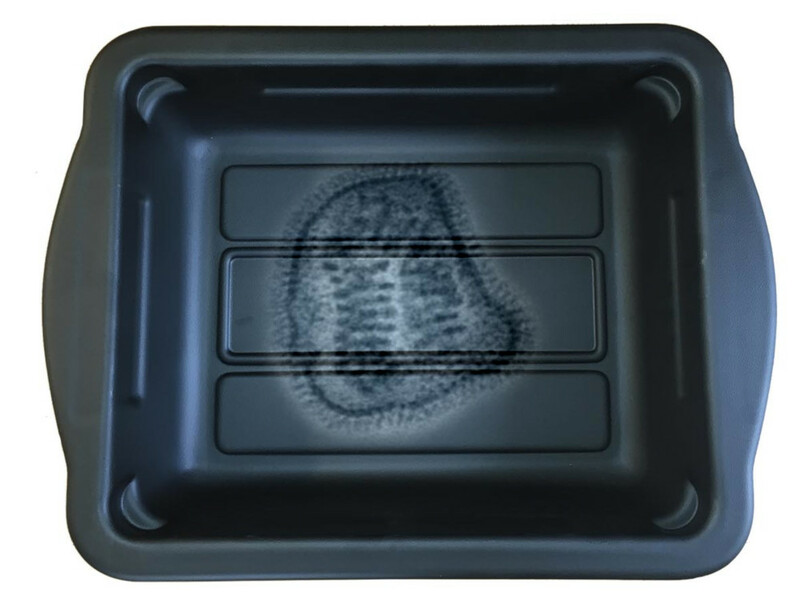 In other words, those trays that are supposed to be keeping you safe are actually endangering your health by exposing you to your fellow passengers' disgusting pathogens. Germaphobes will be horrified to find out they found evidence of viruses on 10% of all the surfaces they tested. Other germ hotspots were shop payment terminals, staircase rails, passport checking counters, children's play areas and -- unavoidably -- in the air. There was evidence of rhinovirus -- the cause of the common cold -- plus some signs of influenza.